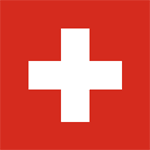 List of popular Switzerland newspapers, online current Swiss news sites in German, French, English, Italian languages. Get latest Breaking news about Switzerland's people, holiday, vacation, travel, sports, business, development and local policy info from Newspaperlists. Switzerland's widely circulated newspaper covering latest news and comments from politics, business, sports, culture, knowledge, society & lifestyle. One of the leading German language free daily newspaper providing all news and backgrounds from business, politics, sports in Zuirch, Berne, Basel, Lucerne and St. Gallen. Swiss breaking news in English. one of the most popular regional newspaper covering Latest news from Lucerne and Central Switzerland in in the Luzerner Zeitung.